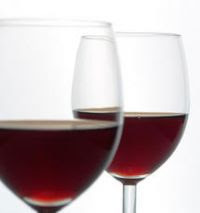 Drinking up to half a glass of wine a day may boost life expectancy by five years—at least in men—suggests research published ahead of print in the Journal of Epidemiology and Community Health. The researchers looked into how much alcohol the men drank, what type it was, and over what period, in a bid to assess whether this had any impact on the risks of their dying from cardiovascular disease, cerebrovascular disease, and from all causes. They also tracked weight and diet, whether the men smoked, and for how long, and checked for the presence of serious illness. During the 40 years of monitoring, 1,130 of the men died. Over half the deaths were caused by cardiovascular disease. The proportion of men who drank alcohol almost doubled from 45% in 1960 to 86% in 2000, with the proportion of those drinking wine soaring from 2% to 44% during that period. The researchers found that light long term alcohol consumption of all types—up to 20 g a day— extended life by around two extra years compared with no alcohol at all. Extended life expectancy was slightly less for those who drank more than 20 g.
And men who drank only wine, and less than half a glass of it a day, lived around 2.5 years longer than those who drank beer and spirits, and almost five years longer than those who drank no alcohol at all. Drinking wine was strongly associated with a lower risk of dying from coronary heart disease, cerebrovascular disease, and death from all causes. These results held true, irrespective of socioeconomic status, dietary and other lifestyle habits, factors long thought to influence the association between wine drinking and better health.